No single asset class has been the market’s top performer year after year on a consistent basis. Unfortunately, no amount of skill or experience has enabled anyone to forecast how various asset classes will stack up in any of those given years. And as a result, those who try to predict and time the markets usually get burned. 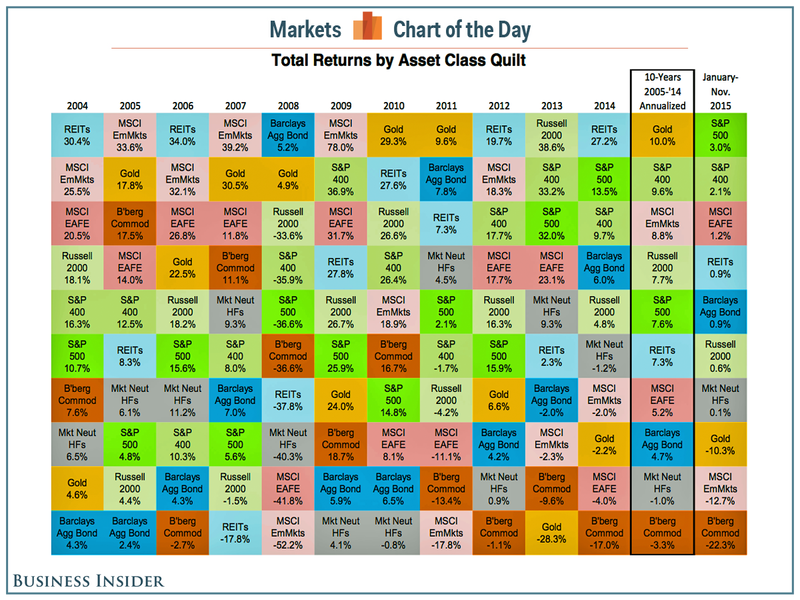 This challenge is illustrated nicely in the chaotic colors of this quilt of total returns by asset class. For Oppenheimer’s John Stoltzfus, it teaches us a valuable lesson in investing.